We are a dynamic, business oriented organization, ranking among the leading entities in manufacturing and supplying a wide assortment of Precision Screw. - Used in various automotive applications. - All HMT Precision Ball Screws are ground and assembled and inspected under a strict process and temperature control. PMI is highly involved in manufacturing of ballscrews, which is the critical component of precision machinery and mainly applied to Machine Tool, Electric Discharging Machine, Cutting Wire Machine, Plastics Injection Machine, Semi-conductor Equipment, Precision Orientation Equipment Automation, Printing & Packaging Machine and other equipments and machines. With very long years of experience and sincerity, we are offering best and excellent quality array of Precision Ball Screws to our precious customers in Ahmedabad , Gujarat , India. We are actively involved in Exporter, Manufacturer & Supplier wide range of this product which is provided at very reasonable price. 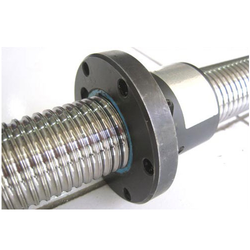 We bring forth vast industrial Matching up with the exact requirements of customers, we are involved in presenting a wide array of Precision Single Nut Ball Screw. 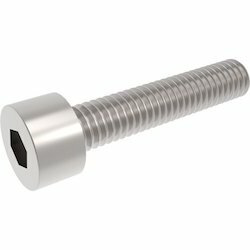 With the constant support of our dexterous crew of professionals, we are fulfilling the varied requirements of our clients by manufacturing and supplying optimum quality Precision Leading Screw. Rotolinear systems offer ground ballscrews from the stock. Ltm are the best ballscrews in Taiwan and is availble in different accuracy like, c5, c3, c2 ect. This is used for most of cnc machine tools like vmc, cnc lathe, cnc milling machine, cnc grinding, cnc hmc.